. . . because you let it. So many changes, so little time, and yet, time is irrelevant when it comes to making a change in your life. What I am learning is that if you wish to make a change, or perhaps if you think changing something could help move you forward, then you have to make it happen. Change is all around us, not predetermined by a better time, or perhaps next week, change is immediate, it happens the moment you let yourself believe it is happening or can happen. I guess, if you think about it, you could look at this in a parallel fashion to the chicken/egg dilemma, which comes first; the changes or the happiness? Personally, I was happy to make some changes, by doing so it allowed me to find a different kind of balance, a different way of living, a different way of feeling, and most important to me, a different way of “seeing” things. Most recently was my take on Multi-Level Marketing, for the longest time I was a believer that the other name for MLM was a pyramid scheme, but just last night it was explained in such a way that a light went on and I see it a little differently. Tony and Vanessa Canevaro, were featured on the most recent Nerium University webcast, and they pointed out that everywhere you work, when you work for someone else has levels of authority and ownership, from the president down through the executives the directors to the management to you, the worker, and no matter how long you are there you will NEVER make the same as the people at the top, that, to me, sounded like a pyramid with no chance of change. With Nerium, which of course is a well-designed Multi Level company, you can create the level at which you are comfortable, the people above you that thought highly of you and offered you the option to make some changes in your life, are only above you because that’s how society has trained you to see things, they were offered the same choices, the same options, they made the same changes you did, and, the people you offer these choices and changes to will be below you, but only on a piece of paper designed to show you where you are with your business, they are in fact your equals as are the people above you. 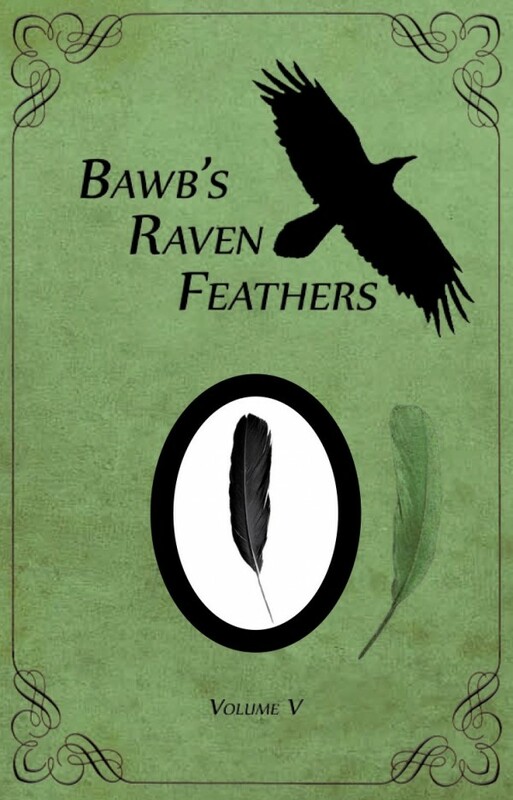 I was offered the choice to make the changes I required in my life, I want to stay retired, I want to set myself up for success, I want to live a comfortable lifestyle and most important to me I want to finish my book series BawB’s Raven Feathers. So I chose Nerium, I knew my why was to help people find their happiness, to rekindle lost smiles and promote self-confidence and self- esteem, and I came on board at a level I was comfortable with, I saw people above me, wonderful people with smiles and positive attitudes, helpful people that offered advice and knowledge, I saw goals and dreams, and places I wanted to be, so I climbed a level up, by sharing and doing what comes natural; believing. Now I see people below me, wonderful people with smiles and goals and a chance for them to change their levels and their lives. I intend on continuing to climb, each level lifting me higher in my business, and each level allowing me to work with the people I have shared with so they can climb to their own levels of achievement and success, so they can share their own happiness with others. Call it what you will, but I would much rather find my happiness creating my own comfort level, with my own business instead of making someone else’s business better for them. If you read this and you get it, if you need the chance to change and you are willing to believe it can happen if you let it, then this is an invitation to explore a new way of looking at things. Nerium offers a line of botanical based, age fighting/anti-wrinkle formulas, for the face, body and mind and all you have to do, is see how much they can change your life, then share that success with others. If you focus on where you want to be tomorrow. . .
. . .where you are today soon becomes where you were yesterday. So here it is August 16th and I find myself focused on where I want to be tomorrow, I am scrambling to find funding or an investor so I can get Series two of my little books published and out to the world for a December launch, they are in the final stages of editing with Rachel Small, then off to design with Fiona Raven, then Friesens for printing, sounds easy, well it will take some serious manifesting but I am confident I will find a way (I have an open line to the Universe). A moment passes. . . It only takes a moment to realize there are always options to every design, and by design the opportunity I was offered to share an amazing line of anti-aging/wrinkle fighting products for Mind AND Body with Nerium international is starting to take shape as my plan “B”. If I keep with the system, keep sharing what I believe in and people keep realizing that the system (and the product) works, I won’t need an investor or funding, I will cover the costs myself. I have mentioned recently how the little things can grow into the biggest things of your life, and I speak from experience as recently I have been seen and liked by thousands of Filipino supporters, men and women that have acknowledged I am alive by hitting a “like” button, to me, that is the most amazing thing ever. I know that each one of them has the potential to talk to a friend, who in turn will talk to a friend, which, again by design is how the system works. Nerium doesn’t use advertising, they use word of mouth, testimonials and lots of before and after pictures of incredibly satisfied people, so imagine as I have, the rate at which the word about Nerium is expanding as we speak, among the people I have reached out to and shared what I believe in. Imagine also, as I have, that such a successful company in only five years has grown to achieve incredible numbers in sales, and a reputation as one of the fastest growing companies EVER, so why wouldn’t I share this, why wouldn’t I want everyone to be as happy as I am and why wouldn’t everyone want to look and see for themselves what Nerium can do for them, both as a product and a small business. Talk to us about looking and feeling younger inside and out. One of the things I have learned on this adventure is that we as humans are skeptical, of everything that seems too good to be true, well my friends this is one of those things that is that good, and it is true, all it takes from you is belief in yourself that you can make it happen and belief in a system that has been proven over and over again how well it works, and if that’s not enough, because Nerium is expanding you have the opportunity to decide where you want run your new business, because Nerium is INTERNATIONAL. To all my Mates down under, Nerium is Fair Dinkum you may want to give it a burl, its coming your way soon. http://www.everydayyouth.net/become-australia-nerium-brand-partner/ let Tracy know you saw this on BawB’s blog page. So here I am, a happy, retired, published author of award winning books filled with inspirational poetry and positive energy, reaching out to the world and inspiring all to believe in your dreams and ask yourself WHY do you want to be happy? Now ask yourself WHY NOT take a step forward?. If you believe in having happy thoughts then think of them, you’ll see. Enjoying the pebbles that line your path. . .
. . .make the milestones seem so much bigger. I am not sure just how to begin, suffice it to say that over the last four weeks I have grown in so many ways. The blog pages I have written and sent to the Universe have been seen, read, and liked by over Ten Thousand wonderful people in the Philippines, so I can actually say, that what started as a little page has grown into something bigger. I take the time to write these pages because I believe if I don’t write them nothing will happen, and if I do something might happen, I choose the positive, I choose to be seen by as many people as I can get, to look at what I’m doing, I choose to make an effort towards making my happiness happen, after which I choose to accept the success that follows. We all have the vision, we can all see what is in front of us, sadly, some of us choose not to look, if a door of opportunity appears we walk away, choosing to believe that nothing will happen. I am now in the position where I can create doors, I can give people options, things they can choose for themselves. People can now choose to buy my little books and fill their lives with positive energy, they can wake up seeing a smile in the mirror and they can be happy. People can now also choose the Nerium lifestyle I am offering, they can use the products, look and feel wonderful about themselves, or they can choose to create their own small business and make other people’s lives so much happier while they are building a future for themselves as well. 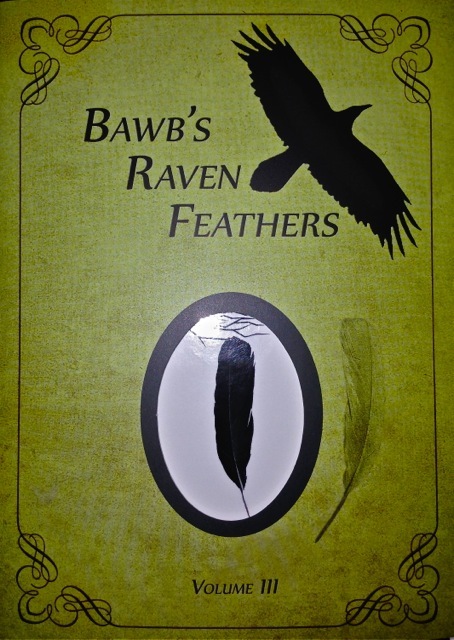 For all of you wonderful supportive people in the Philippines, my little books are available through Create Space web site, click on the grey “site” button next to the search window, and select “store” then search for BawB’s Raven Feathers. As for the amazing Nerium products, they are not yet in your country, they will be one day, and until they are I still want to do something for you to show my appreciation for all your support. Nerium is available in the US, Canada, Korea, Japan, Mexico and soon in Australia and Columbia, if you have family or friends in any of these areas, please send them to the links below and we would love to introduce them to a life changing opportunity. I believe it is a gift that an entire country should respond so favorably to my pages, my words and my energy, and this gesture, for right now is the very least I can do to show my gratitude, I have no idea when I am greeted by a friendly Filipino smile here in Canada if it is connected to one of the beautiful people that have supported me from the islands, but I would love to connect with those people from here. Thank you for sharing your wonderful energy and for letting my smile show. It’s the little things that make you happy. . .
. . . before the big things make you successful. My recent blog post received 2800 likes, that means 2800 people out there took a moment or two and read what I wrote, then added one extra second to hit the like button, and I thank every single one of you for making that choice. I have never been one for numbers, or stats, or whatever else this day and age has to offer, as I come from a part of a century where if the phone on the wall rang we answered it, if we got a letter in the mail we read it and then we wrote one back (with a pen and sometimes with weeks in between) and if the doorbell rang (yes, doors and phones both rang) it usually meant a friend wanted to play. So, who reads what and when, with instant feedback and counters with time and date stamps, still doesn’t mean much to me, but, having said that, 2800 likes on a blog I wrote, sure makes a writer smile. The blog post I speak of was written recently, to share what it is I am doing with my little books, and to share where I am in my new Nerium adventure, both are important to me because I believe in them and having this opportunity (and means) to share them with the world, in my mind, gives the world the chance to choose whether or not they wish to look at them, and what actions to take when they have. I have had, what I would consider, to be some the best marketing advice a new self-published author could ever receive, Beth Kallman Werner http://www.authorconnections.com worked very closely with me because she believed in me, she believed I had a passion for what I was doing, and she saw in me the energy that was required to move forward with my books, or for that matter, with any project I took on. So here I am, wrapping up the final edits of Volume IX and soon moving on to the last volume in Series two, in fact the last Volume of the BawB’s Raven Feathers Series, and at this point while shedding a tear of joy (and one of sadness because this part of my journey is ending), I am thrilled at the response I have received for series one. I have received three awards from NGIBA http://www.indiebookawards.com sold out of most of my single copies of the hard cover editions, I have only 16 box sets left and my paperbacks are picking up in sales in the Chapters, Coles and Indigo locations across Canada. Thank you so very much to all of you who choose to read my words and share your smiles. Where they can choose to enjoy my little books for themselves. More good news is the information I am sharing with the world about my new Nerium adventure is also starting to turn some heads, because I believe in these products, and because I am sharing them with the same passion. People around the world, Japan, Hong Kong, New Zealand, Taiwan, Canada, USA, Mexico, Australia soon, and opportunities in other countries will open up as well, are all given the choice either to try the products and just live happy, or start their own business by sharing the products, live happy AND be successful. Both choices I share with you will change your life, my little books will fill you with inspiration and allow your inner smile to shine through, and the Nerium products will help you to win your battle against the visual signs of ageing and stress, by making you look and feel better inside and out. Have a look at what is offered, order what you choose, then make a choice between just looking and feeling better or starting your own business helping others to look and feel better. Once you find your happiness success will start to show. Listen to others that share what they know. . .
…then share what you know with others. First; my editor Rachel Small and I realized the we were completing the final polishing of Volume IX, I did pretty much the last of the tweaking and completed all of the Chapter intro pages for the Volume, after which I sat back for a moment and I was struck with the sad realization that we only have one Volume left to do, after that, the series is done. All ten Volumes of BawBs Raven Feathers will be completed, my life as I have known it for the last 4 years will be over. Two trips to NYC for awards, countless amazing people I have met, back and forth editing and tweaking, proof reading, designing, marketing, distribution, sales, book launches, signings…sighhhhhh…but then I thought, what am I thinking, I have more to do, a children’s book, a coffee table book, a Biography, I’m not even close to being done, I’m a writer, and as my friend Carrie always tells me, Writers write. Second; I came to the conclusion that everything I believe in and share with the universe is coming to light in my new adventure with Nerium. I attended a training seminar on Saturday and listened to Mark Michaud tell a room full of people to believe in themselves and to believe in what they are sharing. But it wasn’t just his message it was the way he presented it, he laughed and smiled and chatted with us, he was real and honest, and I guess most noticeable of all was he believed in us, all of us, no one person was any better or worse than the next. I have been writing about this for four years and now it is coming to light in this new adventure, the Nerium products I have made the choice to share make people feel good about themselves, the Nerium system that backs the people that share these products is designed to make us feel good about what we are doing, The Nerium group of people stand behind every person that is involved, from the customer to the five star marketing directors, everyone believes in themselves, and everyone believes they are sharing more than just the wonderful feel good positive growth products, they are also sharing smiles, which is right up my alley. So, I guess what I am saying here is that although my weekend was emotional, it was also filled with growth, inspiration, affirmation and so much positive energy. Bottom line is, if you don’t try you will never know. There are millions of books out there, did that stop me from writing ten more, NO, there are lots of products out there, did that stop me from sharing Nerium, NO, stand up people, take a chance, do something that makes you feel good, then share your smile with the world. I am no better than you, I am no worse than you, I did take the chance I was given to look at Nerium and it is changing my life. I learned this weekend that Florida is wide open to learn about Nerium, as is NYC, Canada is brand new to these amazing feel good products. I am not offering anyone the chance to build a Space Shuttle here, I am just letting you know your chance to wear a smile and share a smile is right here in front of you… Take it. If you have a moment and want to see what a door of opportunity looks like then pop in to either one of these sites, look around, feel the energy, then send us a note and tell us what you think, we would love to chat with you and tell you how easy it is to be happy, and to live happy. You can’t build a future. . .
. . . by just thinking about it. You have to actually do a little bit of work, and I’m not saying back breaking labor, but some work that involves planning and research (looking into your dreams and goals) then a little bit of architecture (mapping and blueprinting the framework) then finally the use of the tools (the time spent and the effort given), just a small amount of “work” will make your future that much brighter. Now having said this, I am finding that most of society would rather do less work to produce larger gains, less effort for more return, and in a perfect world this would be wonderful, however, we live in a world where we get back what we put in. So why then when we are offered a chance to create our own happiness which in turn will generate successes, do we turn our backs and deny ourselves the chance to live our dream? Recently I was given the opportunity to choose to create an adventure with a highly regarded, history making, billion dollar, anti-wrinkle age fighting, feel good about yourself, be happy company, and I could have very easily turned my back, because it sounded too good to be true, but this time I was ready to do a little bit of work on my own terms, this time I made the right choice, I have created my own perfect world, and surprisingly all it took was some research, some listening ( to the many others that have made the same choice before me) some belief in myself and my ability, and some sharing, that’s right, I said sharing. So there you have it, the “secret” to success isn’t a secret at all, no magic involved, no maps to a treasure, the secret is just to make the choice to walk through a door of opportunity when it is presented, I mean, if the door is right there in front of you, open, shouldn’t you at the very least poke your head in and have a look around? What if you find that through that door is the happiness you have been seeking, what if you find that happiness happens first and THEN you become successful. So now, having read all this, I am going to share with you the path to a door through which the opportunity for your happiness awaits, but this isn’t a small door, this is the door to a continent, a part of the planet that until now has been untouched by this kind of opportunity, oh, I know what you’re thinking, this all sounds too good to be true, well it is this good and it is true, Nerium is opening their doors in Australia soon and each and every one of you can make your dreams come true… all you have to do is believe you can be happy. Here is the door, not just one door but three, you can choose your own door, at random, or use the energy of the universe, just pick one and poke your head in and have a look around, if you are curious ask us, we would love to share what we know and point you to your own new path of adventure. walk through the door with a new point of view. Don’t base your dreams on what yesterday brought. . .
. . .create them with what tomorrow will bring. I listened to a person last night, a person just like you and me, he is part of the Nerium family and his name is Mark Michaud, he spoke about dream building and goals, and he spoke about believing in yourself. This really hit home for me because I have already lived one of my dreams, so I speak from experience when I say dreams can happen, but when I listen to others that are living and sharing their dreams it makes my heart happy. My dream was to write one book, to fill it with inspiration and energy, to have the reader open it, read it, feel it and become inspired in themselves, to understand the power of a smile and to create achievable goals. I lived that dream, I wrote that book, and I went on to write 4 more. I am still creating these little books with another 5 books in the works, my dream is not yet done as I will continue to write and share my energy long after I’m gone, those that can feel the wind will share my smiles. Now, I am meeting other people with dreams, they don’t just have dreams, they create their dreams and they are living them, everywhere I go now I am meeting these people and they are sharing their dreams, they are smiling, they are happy and all they are doing is sharing what they believe in. They are not writers they are believers, they are not sales people they are sharing people, to some of them it is not about the money or the potential earnings it is about the dreams and the Why. It donned on me last night while I was listening to Mark, that one of my dreams was to share with the universe the energy and the desire to believe in yourself, now I am feeling that everyone who has read my little books has helped me to live my dream, so it is my turn to give back to the world with an opportunity to create yours. I am now part of the Nerium family, a group of amazing people around the world that dream, that share, and that believe in a product that will make you look and feel amazing. Every one of these people had the same choice you do, to create a dream and live it, or not. Every time I hear one of these people speak I think of how amazing it could be if everyone could live one dream, well, this is a chance to do just that. I have reached out to my friends, because they are my friends, I have shared with them and given them the choice, now I am sharing with the world, and giving everyone that same choice and the same opportunity exists to live your dream. Below there are two links, pick either one randomly and have a look at what’s inside, look at the before and after pictures, look at the research behind these products, look at the choices you have, then go and look at yourself in the mirror. You will see you, can you imagine what you would look like if you tried these products, then, can you image what your life would be like if you could live a dream you created. That’s it, it’s that easy, no sales, no pressure, no stress, just you, your choices and a link to an adventure that you can create. Your life is all up to you, your happiness will always show in your smile, then its your smile that shows in your successes. Oh, and one more thing, I have another dream, one day my little books will become part of the Nerium inspiration, because I believe they will help you believe in what you can do.